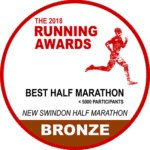 If you have any questions or queries regarding the Swindon Half Marathon please refer to the FAQ section of our website first, as this answers the most common questions we receive on a regular basis. Quite often your question will be answered here. If you can not find an answer, please use the form below. The email address we will write back to you on. Please write your message above providing as much detail as possible. Do not crush or further divide the contents uk metformin of the..